Talk that a girl with too dark-a-skin met the pope is a catastrophic precedent of which Pope Francis has warned. If examples like this surface again in Lithuania the country will be hit by another disaster the consequences of which will not be easily shaken off, lrt.lt writes. Tomas Venclova, a world-famous poet, publicist and professor, is convinced of this. 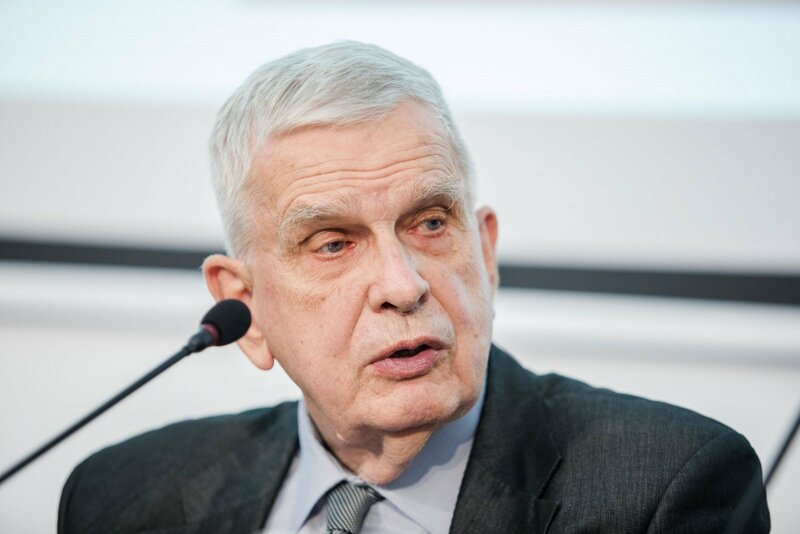 In his opinion eurosceptics are preparing a very gloomy future for Lithuania – tantamount to or even worse than what the country went through in World War II and the early post-war years. 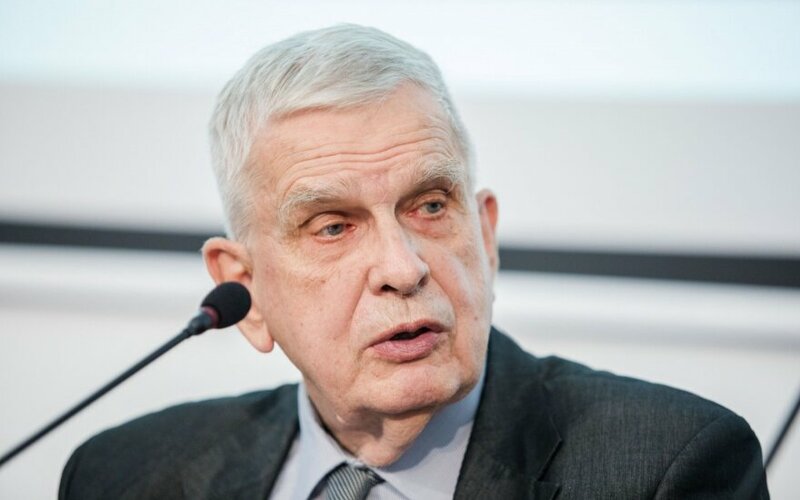 In an interview with on the LRT radio program Aktualijų Studija, Professor Venclova said that if Russia interferes in Lithuania's presidential elections it will do so by supporting radical right-wing and populist candidates and instigating fear and bigotry amongst the population. He also emphasises that in justifying Nazi collaborators we'll become a kind of anomaly in the world detrimental to the country's prestige. Professor Venclova, you've probably been following the pope's visit. What's the message you've read in it? Like everyone else in Lithuania I followed the pope's visit. On Saturday I was on Lukiškės Square; I saw the pope and heard what he said; I listened to the choir singing the songs of exile and to the bells of St. Jacob's Church. It was indeed a fervent moment. If we're talking about the pope's message then what made the biggest impression on me were his words which I'll paraphrase more or less like this: let's not build walls between people, between groups of people. He no doubt meant people of different nations, colours of skin and probably different sexual orientation. Let's not build a new Berlin wall; let's show more human understanding, human sympathy and human solidarity. This is very important because it's very much lacking in Lithuania. The pope said - "All of Lithuania can testify to the fact that mere mention of the word Siberia or the ghettoes of Vilnius, Kaunas and elsewhere (...) sends a chill. When we remember these times, let's ask the Almighty to grant us the gift of insight so that we can timeously recognise the catastrophic precedents that manifest themselves in different ways". What exactly did he mean by catastrophic precedents? We see catastrophic precedents every day. Often in social media, everyday speech and in a lot of anonymous comments on the internet because that's where people are not afraid to express their true opinions and those true opinions are often terrifying. They don't express it openly, rather via the internet only. The talk these days is mostly about the migrant issue. I read in the right-wing press that Europe is finally collapsing, in Europe there's at last a healthy reaction, people are protesting against the flood of migrants and that here protests because some migrant stabbed someone else. Crimes like these by the way are rather rare. It's written that a healthy reaction will at last block the africanisation and islamisation of our continent. It's interesting what our right wing would say when it comes to a way of thinking like this: Every day in Lithuania someone stabs someone else and on those very same internet portals we constantly see that some Jonas Petraitis somewhere in Rokiškės province stabbed and injured five of his neighbours. Or someone raped someone else. These are unusually frequent events, probably more frequently than those involving in Germany. Sometimes Lithuanians behave like this, let's suppose, in Norway. Let's imagine that the Norwegians protest against an influx of Lithuanians and demand that they be thrown out, that their way be blocked, not let into Norway and that the lithuanisation of Norway must be fought against as if it were an unhealthy, harmful and horrible phenomenon - even with a certain reason perhaps, more so greater than Germans who are biased against migrants. I wonder if our right-wing would then say that this is a healthy reaction, that the Norwegians have finally got it and thank God. I don't think so. So do you think we're applying double standards? Absolutely and double standards are a terrible thing. I think that a reaction like that can be called only murky, backward and primitive. It's not important what the colour of someone's skin is or what their nationality or place of birth is. If that person lives in Lithuania, speaks Lithuanian and is a Lithuanian citizen they can enjoy all the rights that a Lithuanian citizen has. It's also very good that there's emphasis that she was asked to participate in the meeting and that she was in Lithuanian national dress. That's really beautiful. We say that the Lithuanian nation is dying out but here it's growing: it's drawing in people of other nations the descendants of which will be Lithuanians. And that's very good, something one must get used to; the world is becoming multi-coloured. But again – some of our right-wingers are saying that it's necessary to defend the white race. That's a completely Nazi statement. You can't defend the white race, these days the world is open, dynamic and the races are mixing. There are always different colours of skin, different religions and nations in each country. And that's very good, it gives the world variety and makes it less boring. Professor Venclova, what do the debates around that girl's skin colour show? Doesn't it say something? It most certainly does. We learned that lesson during the Nazi occupation. The Soviets also divided people into groups, not based on ethnicity but class. There are, you hear, real proletarian Lithuanians who are good for us and then there are the kulaks, bourgeois nationalists who must be eliminated. There is a similar division just based on other criteria. Dividing people up like this is against what the pope is saying. It's a denial of human solidarity, sympathy and human love. That's completely unacceptable. How different is Lithuania when it comes to racism and xenophobia? On one hand the pope talks about Lithuanian tolerance which lasted for many years in the co-existence of many national minorities and religions. On the other hand there's now this girl, you understand, who's not white enough. Are these examples of the catastrophic precedents that the pope is talking about? Absolutely and therein lies the catastrophic precedent and there are more of them. I think they're more latent. When you're walking down the street, when you speak to people even with passers-by you somehow don't notice it, it seems that it isn't even there. Nevertheless, as I've said it's in the social media, in comments on the internet and maybe in conversations in groups of like-minded people. It can surface again. If that happens Lithuania will be hit by another disaster the consequences of which will not be easily shaken off. Like up to now, we cannot shake off the consequences of what happened during World War II. What effect have the migrant crises had on Europe? Isn't it becoming a divisive factor? Partially. There are some political forces and people who are trying to incite that division. If the European Union falls apart it'll be a catastrophe. We'll go back to the pre-war and interwar times when practically every country in Europe was extremely nationalist, including Lithuania. Just remember what that meant for Lithuania – huge losses; Klaipėda and Vilnius were from Lithuania and finally Lithuania itself was enslaved and occupied. Small nations have no future in a nationalist world. Their freedom and prosperity are possible only in an integrated world. Those who are fighting integration, the so-called eurosceptics - eurohaters - as I would call them, are preparing a very, very sad gloomy future for Lithuania; the same or even worse than what the country went through in World War II and the early post-war years. A new migration policy must be reinforced but that's all – building a new Berlin wall or new borders in the Sahara as US president Donald Trump is suggesting is nonsense and idiocy and something very damaging. I wouldn't vote for Donald Trump and don't intend to. I'd be glad if he were removed because he's unfit for the role of president. That's apparent every day and all of America is talking about it. But maybe those who voted for him are happy? Some are. There will always be groups to make happy and there'll always be politicians who'll want to use those people to their advantage – as in Sweden, America, Italy and Lithuania. If they win it will not bode well for Europe and the world. Do you see any signs that forces like that could win in Lithuania? The signs are always there but it's difficult to make predictions. I hope they don't win. We'll soon have presidential elections and I hope that a European president and not a populist one will be elected. I can even say that I have a favourite in the elections but I won't say who because that may be interfering in the election campaign. Official campaigning hasn't started yet. Are there any serious candidates? There's concern that there is no leader in the international arena who can replace Dalia Grybauskaitė. I see at least one serious candidate. I think that there will be someone to replace Dalia Grybauskaitė and hope that Lithuania manages the presidential elections well. What do you mean by that? If a good president is elected will possible Russian attempts to influence the election be pre-empted? Russia may try to interfere. I think that if Russia does interfere in the elections, it'll support radical right-wing and populist candidates in unapparent ways – by instigating fear and bigotry in people. But I don't think Russia will win the election. More about the pope's visit. The Holy Father said that by means of dialogue and being open and understanding we can become a bridge between East and West. This is nothing new. Do you think we can become a bridge? Even before the war during interwar independence, that idea was promulgated by the Catholic thinker Stasys Šalkauskis who asserted that Lithuania is the intermediary between East and West. That's certainly the way it is. For a long time Lithuania was on the border of East and West. That is to some extent a dangerous position to be in because it's often like being on a frontline. But in some sense it's a beneficial position – the fact that in the Grand Duchy of Lithuania both Catholicism and the Russian Orthodox Church co-existed is an important and useful fact. When it comes to the East and West, today the East links us with Vladimir Putin. The East is not Mr. Putin, the East is something significantly broader and deeper. Putins come and go but the East remains as they say. I'm using this phrase uttered by an historical figure I do not like very much but which in actual fact stands true. Political figures come and go, nations, cultures and civilisations remain. The situation can change. From our right-wing I hear and read in the press that speaking about a post-Putin Russia is nonsense, Russia will never change. I think it can change, it must change and we can help it change. But we've been waiting a long time for that change. There was once a time when everyone said that Russia wouldn't change. During the time of Boris Yeltsin Russia changed and it was said that Russia would never agree to an independent Lithuania. But it did. There were huge crowds of Russians who spoke in favour of Lithuania's independence while others maintained, I would say, a positive neutrality. That's why he managed to win. It was short-lived, 10 maybe 15 years and then Russia unfortunately reverted to its previous position. But that doesn't mean it's condemned to repeat that for ever. I have always said – look at the example of Germany. Germany always had negative imperialist tendencies, which cost the Lithuanian people, amongst others, dearly – from the time of the Teutonic Knights up to World War I and even more up to World War II. It was said so many times that the Germans will never change and that the German have always considered and will always consider themselves the master nation. That wasn't the case. Today Germany is our ally and friend. And its troops have been deployed in Lithuania. Very unexpected news but it's happened and I don't see any reason to say that something similar will never happen in Russia. No, it will happen sometime it'll just take a rather long time before it does happen. With the Germans, it took 700 years. Vydūnas wrote his 700 hundred years about them and found nothing good in them. So do you think that Russia, often called simply Putin's Russia, can change? Yes I think it can. After Putin. And I wouldn't be surprised if Putin collapsed. I remember the last years of the Soviet Union when almost nobody believed (and I include myself) that that system could collapse and it did collapse in a very short time. I think that Putin's regime will be shorter than the 70 years of the Soviet regime because it's weaker. It's 75 years since the destruction of the Vilnius ghetto. Do you think that Lithuania has comprehended this tragedy and learned a lesson? I think it comprehends it more than it did 40 or 20 years ago. But we'll perhaps never fully perceive this tragedy. It's an ongoing process, one which is becoming more profound and serious but up to now it's ongoing. There's no end to the debates on monuments to Nazi collaborators who fought for Lithuania's freedom. In those debates there's mention of Jonas Noreika-General Vėtra and Kazys Škirpa. What do you think of monuments to these people and why have these debates come about? As far as I know, the memorial plaque to Jonas Noreika has not been removed although a lot of people are demanding that. I myself am demanding that and I signed a document to that effect. Kazys Škirpa Street has as yet not been renamed even though it's located in a very important part of our capital, right near Gediminas Hill. We're forever hitting a sort of invisible wall. There are always attempts to justify these people. These attempts are to my mind rather weak and unscrupulous. It's forever said - and I read about it these days - let's gather all of the documentation and let the historians decide. That means let's just keep putting off the issue. That's because enough documentation has been gathered for us to be able to say: Jonas Noreika and Kazys Škirpa, especially Jonas Noreika, played a rather important role in Lithuania's history, but they are not heroes without reproach. But there's no serious reproach if we name streets after or put up memorial plaques to these statesmen. There's enough documentation to the effect that Kazys Škirpa demanded that the Jews be eliminated from Lithuanian life; and that Jonas Noreika signed that documentation where it's demanded – he signed that the Jews be isolated in a ghetto and that their property be confiscated. That's the same and actually even worse than signing the order to deport Lithuanians to Siberia. It's something very similar. It is said - oh well, Noreika himself didn't do the killing. He didn't. But what about the officer who deported Lithuanians, but didn't execute or torture people or load people into the trains but only signed off that people had to be deported? Would we hang up memorial plaques to such people? I don't think so. I just don't want people who are undeserving of respect to be respected. I opposed it in the Soviet times and I oppose now things that for me are unjust. A lot of bad things have been said about the deceased Petras Cvirkas and Salomeja Nėris. When it comes to actual criminals who are now dead we still repeat and always will repeat that they were criminals. The view that since they are now dead which makes up for it is unbefitting. Historians must be judged even posthumously and maybe it is only after death they are properly judged. An article about Jonas Noreika recently appeared in the New York Times. In the US where you live, are there any questions regarding the honouring of collaborators? Yes. There is discussion in the US around this. As we know, even Jonas Noreika's granddaughter takes a stance much like mine. That discussion does much to tarnish Lithuania's prestige. In Lithuania, it's as if there's some public consensus that Nazi collaborators are ours and are nevertheless better than Soviet collaborators. I think it's something worse and it seriously damages Lithuania's prestige in the eyes of the world. This has been happening for years, maybe even centuries. It does Lithuania a lot of harm - what we do, what we did in the Holocaust and our propaganda at that time. To this day, this harm is hard for Lithuania to shake off. The world will never agree with our Nazi collaborators and will never justify them. By defending them, we become a sort of anomaly in the world and that's something that mustn't happen.